The bunnies are gathering at Bunny Bounce Valley for their annual reunion - and you're invited! 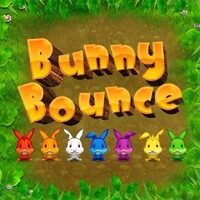 Bounce the bunnies into matching groups of three or more to make them happy. Race against the clock or take your time in three game modes! Plus, special guests like Bunny the Kid and Captain Carrot make delightful additions to your in-game photo album! Featuring over 70 levels, adorable graphics and hours of addictive fun, Bunny Bounce Deluxe will leave you jumping for more. Now, who brought the carrot cake?